We’ve tried reward charts in the past and they’ve always started off a success but the kids soon get bored and lose interest. So when I heard about The Reward Box, I was keen to give it a try. The Reward Box is a fun take on the traditional reward chart and a great way to get kids to behave well. 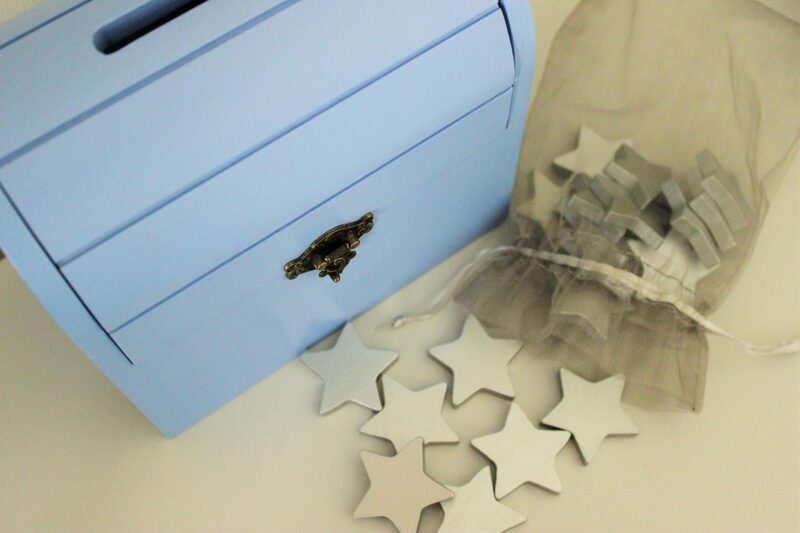 The Reward Box comes with silver stars and has a slot on the top of the box so that they can pop a star in each time they’ve been good. One of our current problems with Max is that he won’t get himself dressed, or when he does it can take an eternity which obviously is a bit of a nightmare on a school morning! So I’ve started setting a timer on my phone to encourage him to get ready quicker, and if he beats the timer he gets a star! We’ve said that if he can get so many stars by the end of each week he will get a treat. 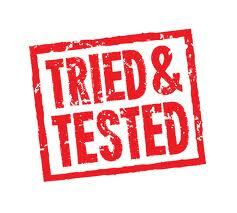 So far it’s working really well for us and he is well on his way to getting a treat at the end of this week. 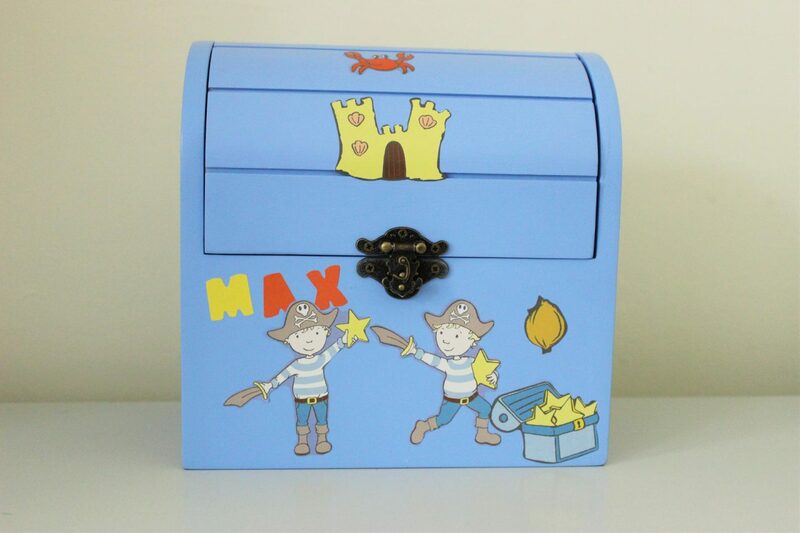 The Reward Box has some brilliant tips on how to use the box depending on your child’s age and also lots of reward ideas. Head over to their website for more information. 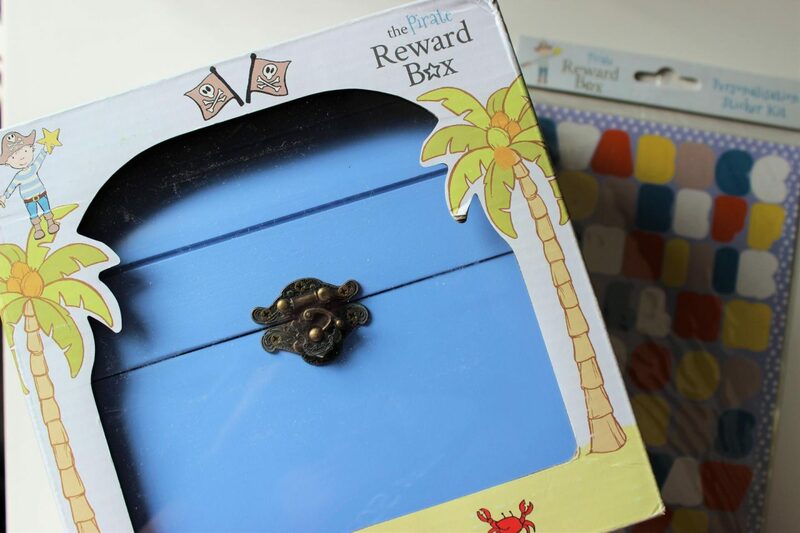 You can choose from the pirate reward box which is the one we have, or the fairy reward box. 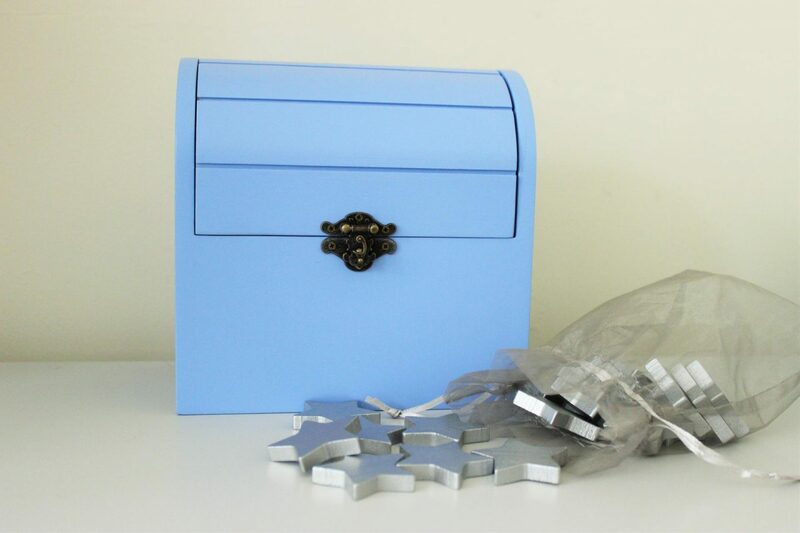 Both come with stickers to personalise and 20 wooden silver stars. Both are currently priced at £35.00. What do you think to The Reward Box? We were sent this item in exchange for an honest review. I like the fact it can be personalised, this is handy if you have more than one child, as we have with the twins. Hope it keeps helping with his behaviour, and I like the timer idea. This sounds like a good idea. Something different from the normal sticker wall charts. 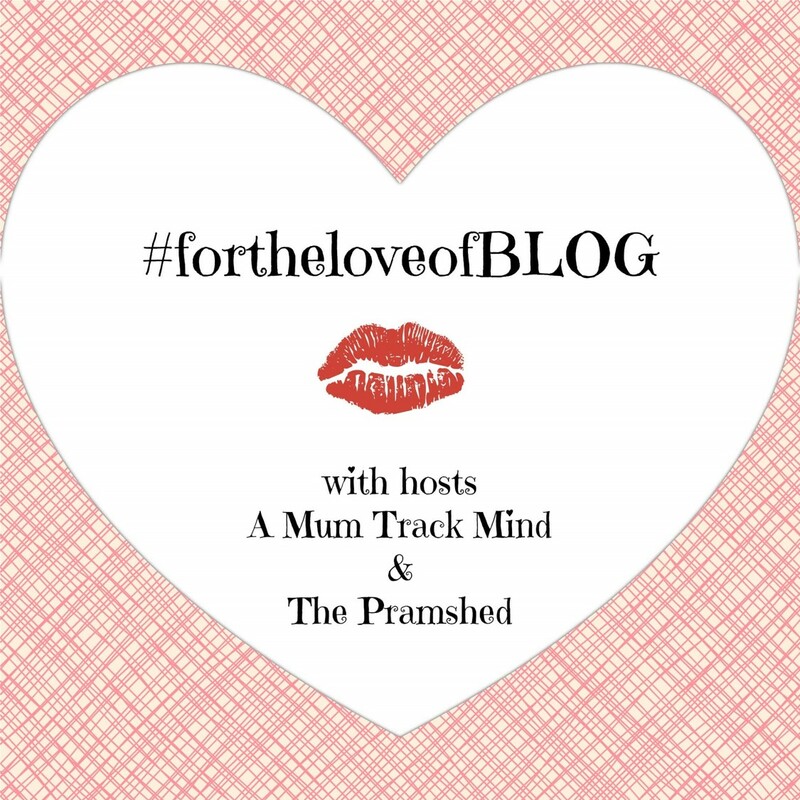 I think this sounds like a fab idea. Caspian is a little too young, but we might introduce this soon. Thanks for sharing with #KCACOLS Hope you’ll link up again next week.